You would be positively mad not to head over to Cupcakes & Cutlery THIS MINUTE to enter a contest to win this Kitchenaid mixer. Plus you’re supporting a wonderful cause and my friend Sharon. Do it! 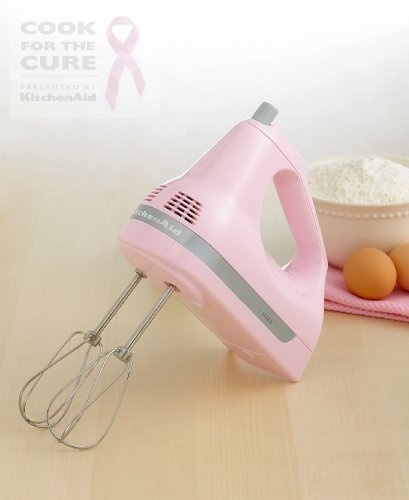 Click here and you might be baking in style! Contest ends on Tuesday so quick, quick amigas! This entry was posted in giveaway and tagged cupcakes & cutlery giveaway, giveaway, kitchenaid mixer giveaway by Annika. Bookmark the permalink. Thank you so much for sharing with your readers!! I really appreciate it!